Teff | Infonet Biovision Home. Geographical distribution of Teff in Africa. Source PROTA. Updated 28 November 2018. Teff or tef (Eragrostis tef) is a species of love grass native to northeastern Africa. It has an attractive nutrition profile, being high in dietary fibre and iron and providing some protein and calcium. It is similar to millet and quinoa in cooking, but the seed is much smaller. Teff is believed to have originated in Ethiopia between 4000 BCE and 1000 BCE. (Germer 1985). The word tef is thought to originate from the Amharic word "teffa", which means lost (due to small size of the grain), or from the Arabic word "tahf" used by Semites in South Arabia.Teff is an important food grain in Ethiopia and Eritrea, where it is used to make injera. Because of its small seeds (less than 1 mm diametre), a person can hold enough to sow an entire field in 1 hand. This property makes teff particularly suited to a semi-nomadic lifestyle. Teff has been widely cultivated and used in the countries of Ethiopia, India and its colonies, and Australia. Teff produces up to 2/3 of the total food provision of Ethiopia. The grain has a high concentration of different nutrients. This grain has a very high calcium content, and contains high levels of phosphorus, iron, copper, aluminum, barium, and thiamin. A big advantage, according to Soil & Crop, is the fact that the iron from teff is easily absorbed by the body. It could thus enhance the performance of elite sportspeople. Teff is high in protein. It is considered to have an excellent amino acid composition (including all 8 essential amino acids for humans) and has lysine levels higher than wheat or barley. Because of this variety, it stimulates the flora of the large intestine. Teff is high in carbohydrates and fiber. It contains no gluten, so it is appropriate for those with gluten intolerance or Celiac disease. It is adapted to environments ranging from drought stress to water logged soil conditions. Maximum teff production occurs at altitudes of 1800 to 2100 m, with a temperature range of 10 to 27 degC. Average annual rainfall is about 750-1000 mm in the central Ethiopian highlands. Maximum rainfall in the area of cultivation is about 2500 mm. 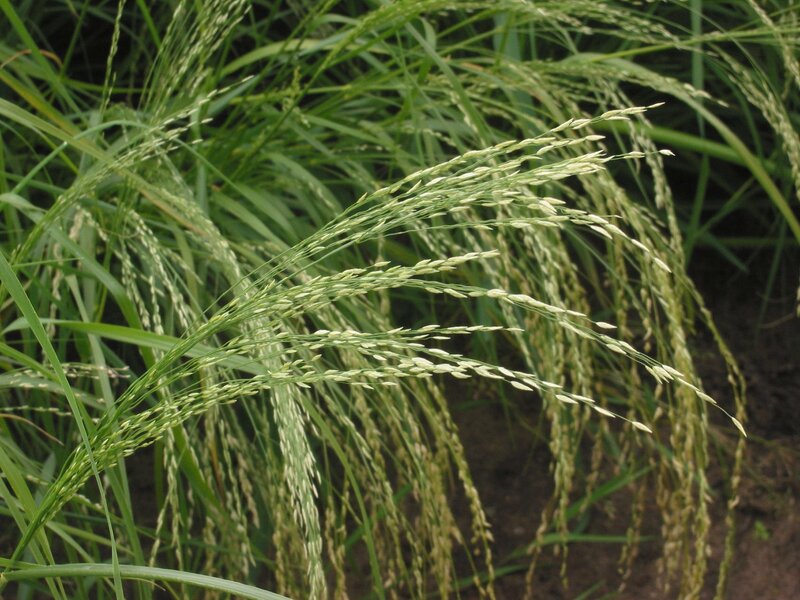 However, teff could produce good yields at much lower annual rainfalls: for most cultivars 300-500 mm of rainfall per growing season is adequate. Early maturing varieties (60-75 days) can do with less than 300 mm of seasonal rainfall. Teff is day length sensitive and flowers best during 12 hours of daylight. Ethiopian farmers grow teff either as a staple or as a standby. As a staple, they plant it like other cereals, but they normally sow it late and harvest it well into the dry season. As a standby, they wait until their main crops maize, sorghum, or maybe wheat shows signs of failing. Then they sow a fast-maturing tef as a backup source of sustenance in case of disaster. (Lost Crops of Africa: Vol. I: Grains (1996). Teff requires little care once it is established. Its rapid growth stifles most weeds; few diseases and pests attack it; and it is said to produce well without added nutrients. However, in most places teff will respond to fertilisers. In Ethiopia, large yield improvements can be achieved by applying techniques that are already known: careful land preparation, use of selected seeds, fertilisation, sowing and weeding at the optimum time, and disease and pest control, for example. (Lost Crops of Africa: Vol. I: Grains (1996). 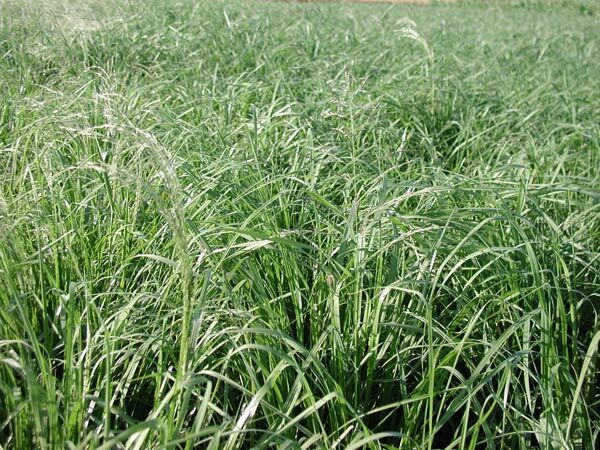 Teff threshes well with standard methods and equipment. Very early-maturing types are ready to harvest in 45-60 days; early types in 60-120 days; and late types in 120-160 days.Yields range from 300 to 3,000 kg per hectare, or even more. Although the national average in Ethiopia is 910 kg per hectare, yields of 2,000-2,200 kg per hectare are considered routinely attainable if good agronomic practices are carefully followed. Yields of 2,000 kg per hectare have been achieved on South African farms also, although storms have sometimes levelled the fields, resulting in large losses. The grain is easy to store and will survive for many years in traditional storehouses without damage by insects. This makes it a valuable safeguard against famine. (Lost Crops of Africa: Vol. I: Grains (1996). Teffs rapid growth stifles most weeds and few diseases and pests attack it. It is an occasional but seriously destructive pest on teff in Ethiopia. 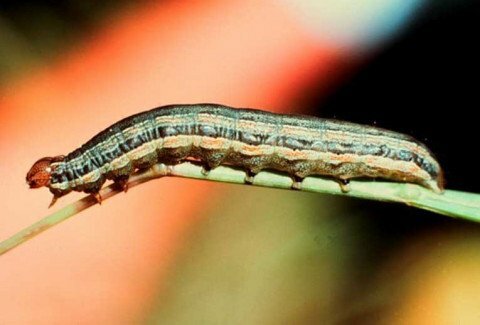 It causes serious damage to young plants in years of armyworm outbreaks. The caterpillars feed on the leaves eating them down to the midrib. Outbreaks usually start during May in the southern provinces of Ethiopia. During the main growing season they move northwards. The most common disease affecting Teff in Africa is a fungal disease, Teff rust (Uromyces eragrostidis). Its' symptoms are brownish-red pustules on leaves. Germer, Renate (1985). Flora des pharaonischen Agypten. Mainz: von Zabern. ISBN 3805306202.